Filmfare Awards - Best Playback Singer (Female) in "Nachdi Phira" (Secret Superstar). The beautiful voice of a 15-year-old girl managed to give a youthful, fresh and emotional essence to the stages of Bollywood. Meghna Mishra breaks into the musical universe of Hindi cinema in 2014 during the shooting of the film Vitti Dandu. Click Here to Listen to the song chalaa kheluya vitti daandoo. Afterwards, she gives her audience her exquisite voice as a play-back in the successful production of Secret Superstar. In 2018 she won the Best Female Playback Singer category at the News 18 Reel Movie Awards. 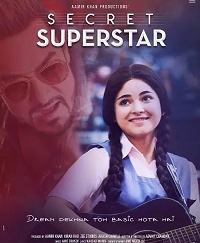 Secret Superstar tells the story of a young singer who struggles to express her art in a hidden way, defying the restrictions imposed by her conservative parents. Meghna Mishra's life is very different from the character in the film, but her voice is the one that gives life to the songs that color the narrative of the story with emotion and hope. Meghna explains that working together with the actress Zaira Wasim in the playback of the movie Secret Superstar was an enriching experience. Together they built the essence of the film's main character. Zaira brought her exceptional stage presence and Meghna her extraordinary voice. Mishra considers herself a young girl like any other. However, she acknowledges that she was very fortunate to grow up surrounded by musicality. Her father is the well-known singer Sanja Mishra and her mother Arti Mishra is a talented dancer. Throughout her childhood, she enjoyed music and scenic art as natural elements of life. From a very young age, she became fond of the classics of the old Bollywood. 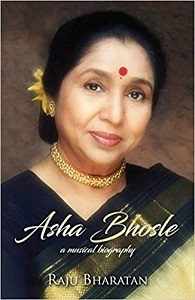 Among the singers who influenced her most are Mohamad Rafi, Asha Bhosle, and Kishore Kumar among other talented playback voices of the Indian film industry. From a very young age, Meghna enjoyed singing the songs of Lata Mangeshkar especially "Megha Chhaye Aadhi Raat", `Kaise Din Beetey', `Ja Ja Re Balamwa' and "Man Mohana". 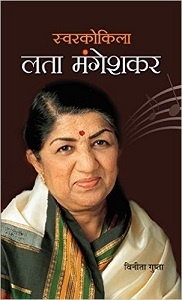 Growing up, she discovered that Queen star Freddie Mercury considered Lata Mangeshkar one of her main influences, and it was then that she realized that music is a universe that feeds on the traditional and the contemporary. This young star considers the story of Asha Bhosle and Lata Mangeshkar as an example to follow. The struggle of both women to make their way into the world of music and achieve success in the competitive Bollywood of the 1960s is an inspiration. For Mishra, it is evident that the path to success in the music industry is built with dedication, effort and a love of art. Meghna Mishra at 17 already knows how hard and competitive the music world is. A few years earlier, she participated in a contest where they were looking for new talent and was rejected. But that obstacle prompted her to continue to strive with the support of her family and friends. The journey to the Secret Superstar stages was dizzying. The director of the film was in search of the voice that would interpret the songs of the heroine of the movie. 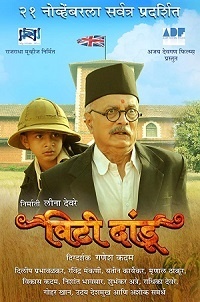 The search was fruitless until the musical director of the film Santosh Mulekar, who knew the Mishra family, proposed Meghna. After sending a very basic demo, she was selected as the interpreter of the film's songs. Meghna says she is still surprised by the dizzying turn of events that led her to become a Bollywood musical superstar. "It was like a dream from which I still don't wake up” says the young singer. "At one point I was uploading videos and songs to YouTube and the next day I was on the set of an Aamir Khan Production film", “It's amazing, I sing several of the songs in the film!. The young girl had to learn the songs in a matter of hours rehearse them and record them the same day. Then the music director and the sound engineers worked on the mixes until they got the results presented in the film. She also worked with Zaira Wasim, building the expressions and movements that the protagonist would develop during the interpretation of the songs in the film. "Working with Zaira was great. She is a wonderful actress" says Meghna. 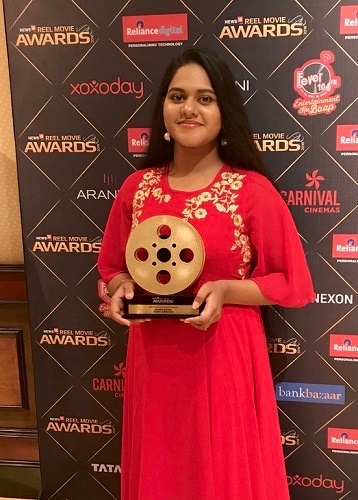 Both young women, in perfect synchrony, brought to life the musical performance of the character of Insiya Malik, the young singer who hides behind a burkha to realize her dreams by uploading videos to Youtube. Secret Superstar's overwhelming success catapulted Meghna Mishra's career. Songs like Main Kaun Hoon and Meri Pyaari Ammi are hailed by millions of fans. However, she says there is still a long way to go. When asked about the musical trends preferred by youth she says: "Music feeds on the classic, of everyday life, of emotions, and of feelings...young people enjoy the music of all genres and artists have a responsibility to be authentic in order to reach the hearts of fans”. Meghna Mishra's YouTube channel has thousands of followers and hundreds of weekly visits. She currently performs with Mr. Amit Trivedi, in addition to solo performances at various live events. The year 2018 has been a year of success for the 17-year-old vocalist. 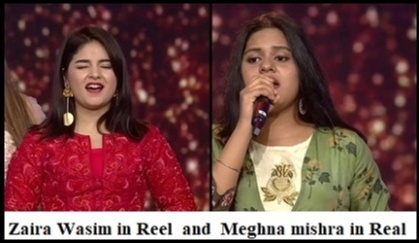 Meghna was awarded the Filmfare Award 2018 for Best Female Reproduction Singer and also received the Mirchi Music Awards 2018 for the song Main Kaun Hoon. 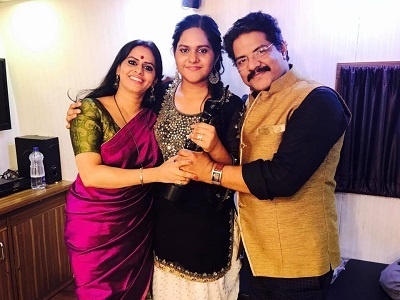 Although a superstar, this girl from Mumbai wants to finish her studies because she firmly believes that her academic training will help her consolidate her artistic career.